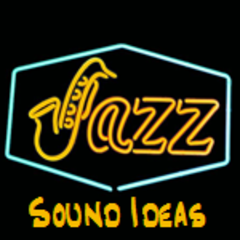 Sound Ideas explores the artistry of jazz, blues, and the spoken word. Hosted by Clay Ryder, each episode explores a different theme or genre of the jazz idiom through recorded performances pulled from more than eighty years of recorded art. The music is the focus. It is complemented by a few minutes of intelligent commentary to set the context and make the music understandable and personal for both the jazz aficionado and those who listen on the jazz periphery. Each episode can air as a stand-alone or run in a series. More than just a jazz show, each episode presents some great story telling by jazz and blues musicians and spoken word artists. By exploring the many different genres within the Jazz idiom, the show appeals both to the jazz aficionado and those who listen on the jazz periphery. In both cases, listeners enjoy exposure to a broad cross-section of this creative art without the limitations of stylistic labels. Spoken word features reflect jazz sensitivities or the life of the jazz musician and offer a unique twist on the many colors and hues painted with a brush called jazz. One aspect of Jazz that distinguishes the art form is its ability to engage the listener on different levels (intellectual, emotional, spiritual, etc.) simultaneously. Jazz is a musical oxymoron. Jazz is a classical music, a high art form that demands much from its performers and at times from its audience; yet jazz is as down home as fried chicken, baked beans, cornbread, and your favorite glass or beer or soda. Jazz comes from toil in the fields reassured by the gospel on Sunday morning. Jazz oozes out from under the door frame at the late night rent party. Jazz emanates from a student practicing with his or her Jamey Aebersold play-along records. Jazz is created at the university in an advanced composition class. Jazz is created by tales spun by the stand-up comic. Jazz is about learning; it's about life experience. Listening to jazz on the melodic level reveals one experience, listening on the harmonic, another. Listening to the stories that are embedded in the melodic and harmonic levels takes the listener to another plane of communication. Jazz is a language, and as with all languages, if one doesn't know the vocabulary and the grammar, there isn't much to gain from the interaction. With practice, however, picking up a language enables communication; and with time, the subtle nuances, the play on words (or notes), and inclusion in the greater discussion can lead to a rich and very satisfying experience. Sound Ideas seeks to engage the listener and broaden his or her musical horizons. When should Sound Ideas be aired? While this program would fit well within any jazz formatted day part, its intention is to engage the listener and offer a path for musical exploration and deep understanding. It works equally well as a stand-alone program within a block format or as a lead-in to locally programmed music. Sound Ideas is just under an hour. It features a cold opening so it can easily transition from top of the hour news segments or from other programming. It is self-contained without local cutaways; however, there is ample space for local promotions or other transitions at the beginning and end of the show. What’s the show’s vibe? How does it sound? Sound Ideas is conversational and informative with a laid-back vibe. While the performances are the focus of the program, details about musicians and where to find the music are key components of the programming. Each episode has a playlist plus additional information about its theme available on the jazzstreams.org web site. Sound Ideas is free of charge. Customized promotions for stations are available for a nominal fee. Does the series have to run in order? No. Each episode can stand alone or run in a series. Since each program is thematic, you may run them in any order at any pace you choose (limited only by the number of available shows). An obvious exception would be holiday-themed shows, which would make sense to run during the holiday season in question. Does the show have its own web site? Welcome to an hour that celebrates one special Michael and the numbers 2 and 3. Buckle up for some soul, funk, swing, bop, and story telling. Welcome to an hour that travels to points past and present and circles back home. As the end of the calendar year approaches, it's time for another sampling of Christmas meets jazz improvisation. It's time again to celebrate this special season. Welcome to an hour unwrapping some of the hippest gifts to ever be found under the proverbial tree.